Your travel needs should determine what the right luggage for you is, not the other way around. Do you travel frequently? Do you travel on business? Do you prefer short breaks to long vacations or little bit of both? Do you travel alone or with friends or family? Do you like adventure holidays or relax by the pool? Do you like roughing it or to you enjoy the fine things in life? Do you travel light or not? Most of us do more than one type of travelling. Businessman may enjoy spending his vacation hiking with his backpack. Student may well have family or money to spend on travelling. Others may love short romantic breaks as well as family beach vacations and golf trips with friends. This means our luggage needs can change from one trip to another. You need different bag for your 2-weeks family vacation than for your short business trip. You might want to own a good backpack for those adventure trips but good quality suitcase for other trips. You might prefer garment bag when travelling on business but trendy carry-on bag for city breaks with friends. This is why most of us own more than one piece of luggage. Most travelers own few bags and use them on different occasions. B for Bag helps you to find the best luggage for any trip. We look at the most popular types of bags for each travel category and explore what type of traveler each type is most suitable for. 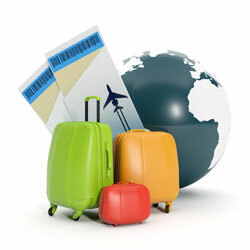 We also look at what to have in mind when buying luggage and help you to compare luggage, i.e. different types, brands and luggage pieces. There is no one best travel luggage or bag. The right bag for one person may not be the best bag for another person. For example, the best carry on luggage for a businessperson should be organized to suit people on short business trips, e.g. with separate compartments for shirts, shoes, toiletries. It might also be useful to be able to accommodate small laptop or iPad and some working documents. While the best carry on luggage for someone going on a short leisure trip is likely to be a bag that maximizes the use of the available space. Separate compartments take up space so one big compartment might be preferable for those travelers. While the best backpack for one person might be the most spacious one, for other lightweight and easy to carry might be the most important criteria. And so on. There are so many bags available so you would expect finding the best luggage for your travel needs to be easy. Too many choices can however be confusing so B for Bag helps you to sort out the right candidates for you and your trip.